As of late, I haven’t been following the latest wax releases. 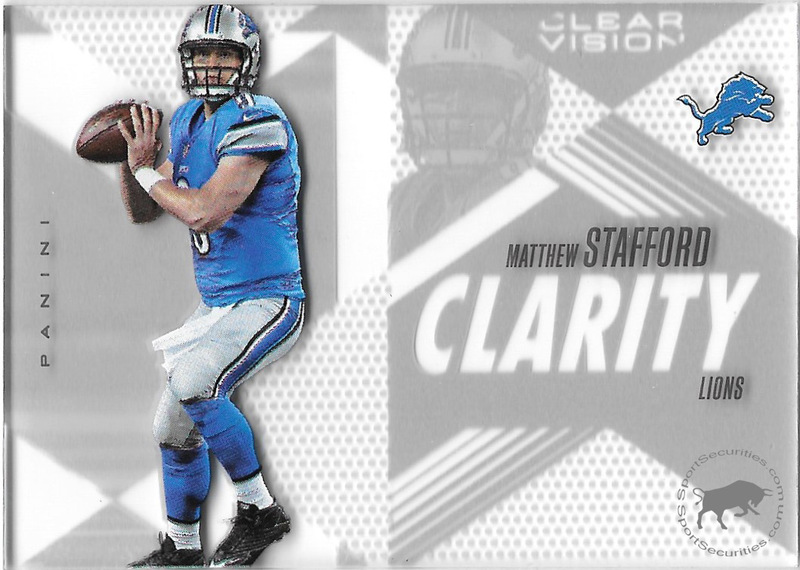 So imagine my surprise when I stumbled on these boxes of 2015 Panini Clear Vision Football. Besides mini cards, I love acetate. So without hesitation and not knowing a thing about the product, I bought two boxes. Here are the hits. Reflecting on this break, I recognize that I crushed the odds by pulling two case hits out of two boxes (the variation card and the signature card). However, in the end I felt unfulfilled. Other than the auto and memorabilia cards, this break was lifeless. Acetate opens the door for so many cool possibilities, but this set failed. All of the base cards (star cards, rookie cards, Clear Vision cards, and Rookie Revision cards) have the same monotonous background pattern of parallel lines/stripes. My presuppositions on this set was something like Topps High Tek, but I was let down. I will not be buying more of this product.